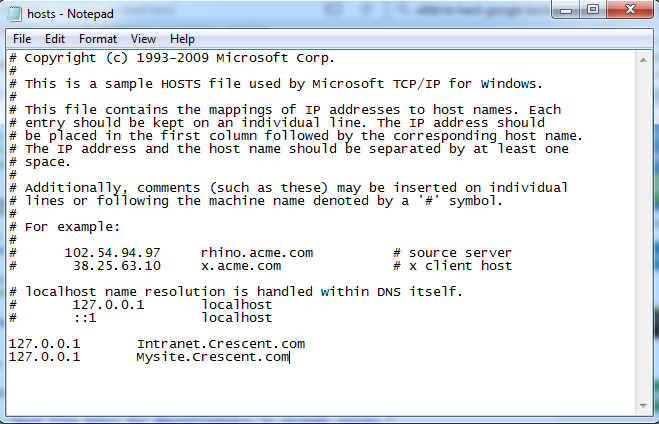 Home PowerShell SharePoint Windows Server How to Add HOST file Entry using PowerShell? # write the Entries to hosts file, if it doesn't exist. Write-Host "Checking existing HOST file entries for $HostFileEntry..."
Write-Host "Host File Entry for $HostFileEntry is already exists." Write-host "Adding Host File Entry for $HostFileEntry"
Add-content -path $HostFile -value "127.0.0.1 `t $HostFileEntry"